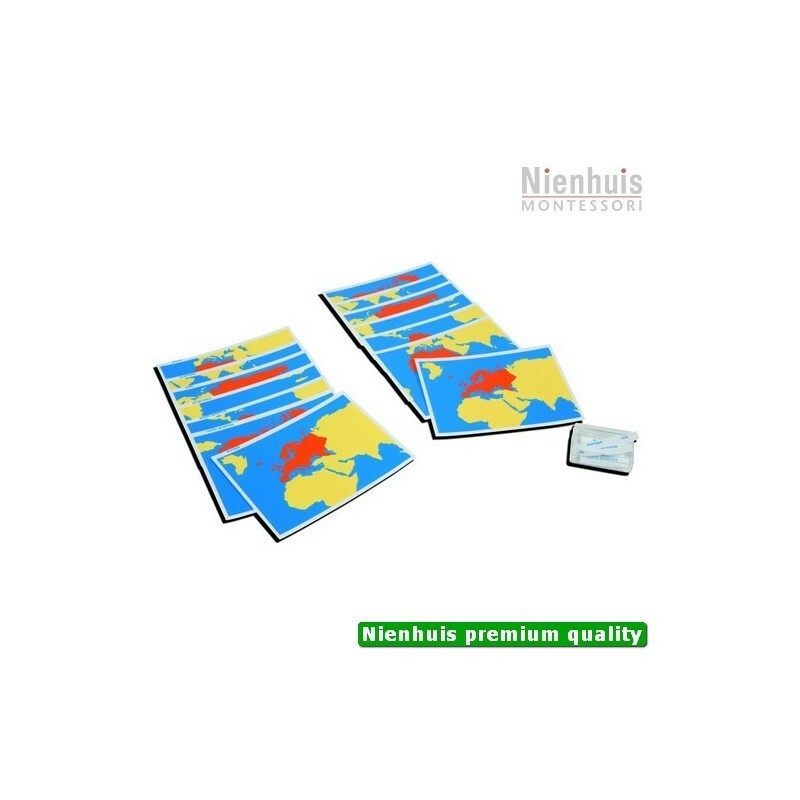 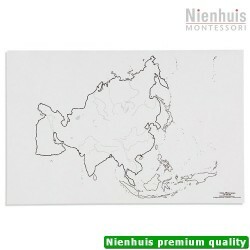 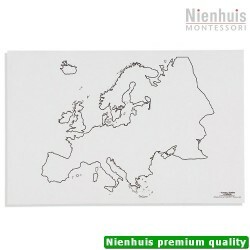 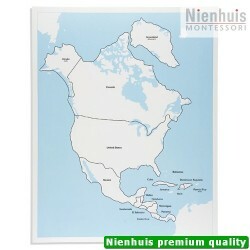 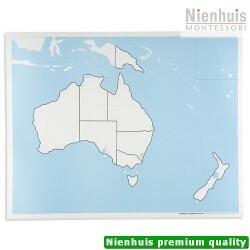 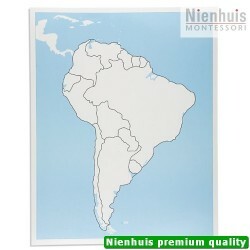 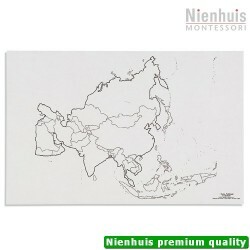 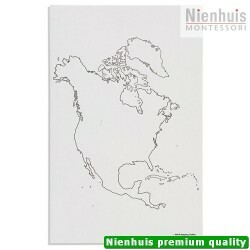 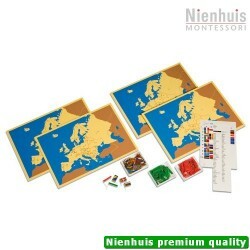 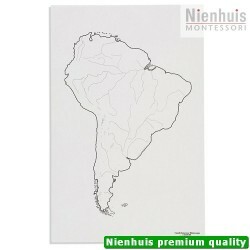 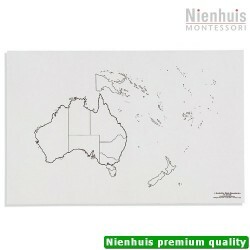 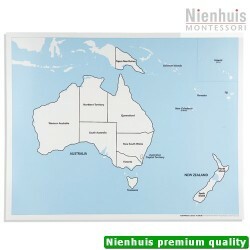 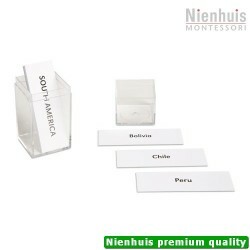 This material helps the child move to a more abstract understanding of the continents. 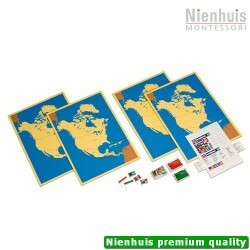 The 14 heavy plastic silk-screened cards form two sets. 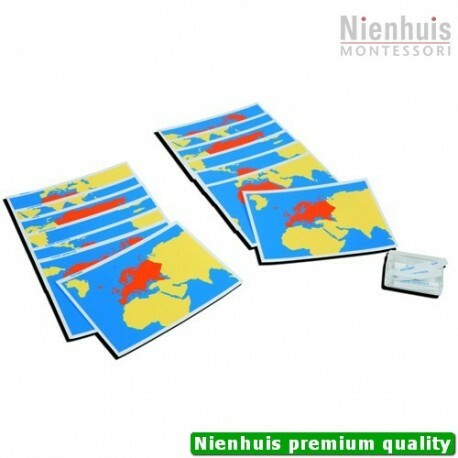 One set with the continents and names, and the other set with only the continents. 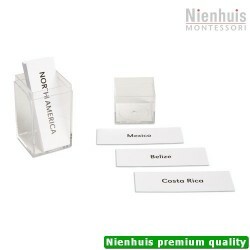 A set of loose name labels in a plastic box is included.